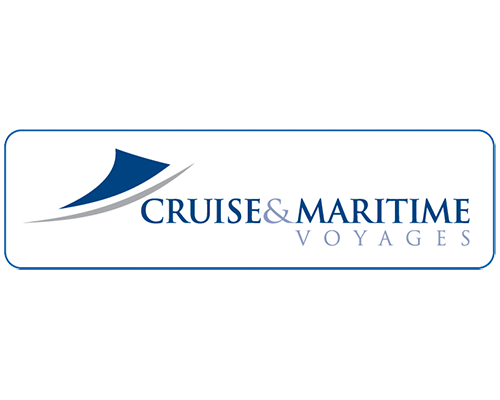 Cruise & Maritime Voyages (CMV) Top 10 Excursions based on passenger Choices in 2016. Norway in the winter is very different. The excursion to the Igloo Hotel, visited by Joanna Lumley in her much watched TV series, is also one of Michelle Lupino’s, Head of Shore Excursions at CMV, favourites. Taking a trip from Honningsvåg to the North Cape is the experience of being on top of the world. Alta has one of the best records for sightings of Aurora Borealis or the Northern Lights. Usually with the help of a local expert photographer guests are taken to the areas where the chances of sightings are best. Subject always of course to the weather. 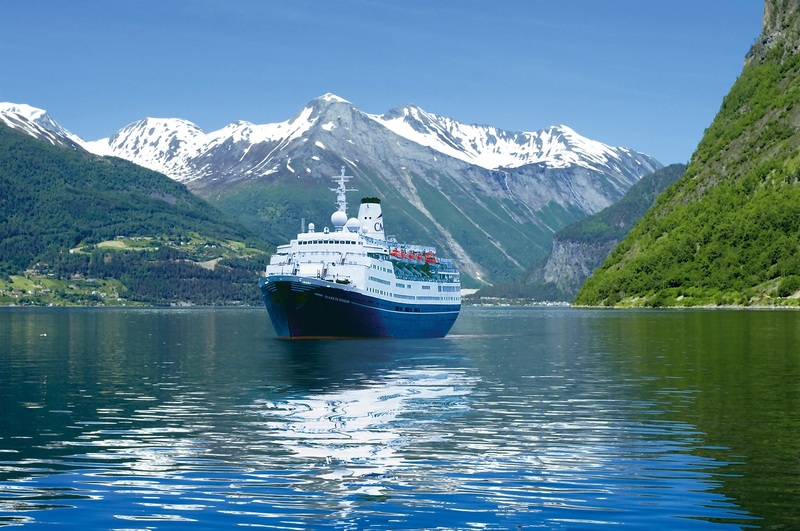 What makes this excursion so popular is the train journey from Åndalsnes from where the Rauma Railway starts and terminates and is literally next to the ship. 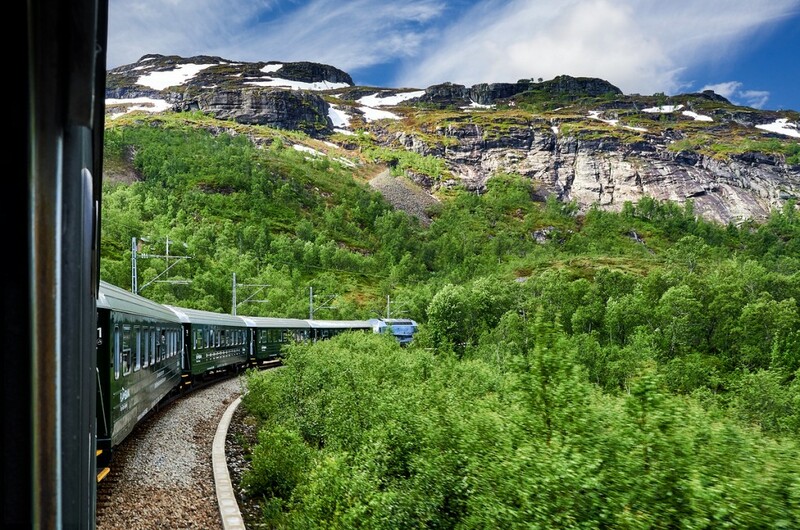 Dramatic and spectacular scenes throughout the rail journey to Bjoril about 45 minutes from where passengers are taken by coach through remarkable mountain scenery to the ship. Sometimes depending on train times the excursion may operate in reverse. Such a lovely Norwegian port with the chance to visit the famous Fossli Hotel from where you can enjoy the sight of the Voringsfoss Waterfall that crashes down some 600 feet. The viewing area is currently under major construction so care will need to be taken when walking whilst the improvements are being made. Whilst the Rauma Railway is always popular the coach excursion from Åndalsnes following the River Rauma seeing the ‘Troll Wall’ famous with climbers from all over the world the highest vertical and overhanging wall in Europe. A stop is made in Bjoril before returning through what is considered one of Norway’s most attractive valleys. 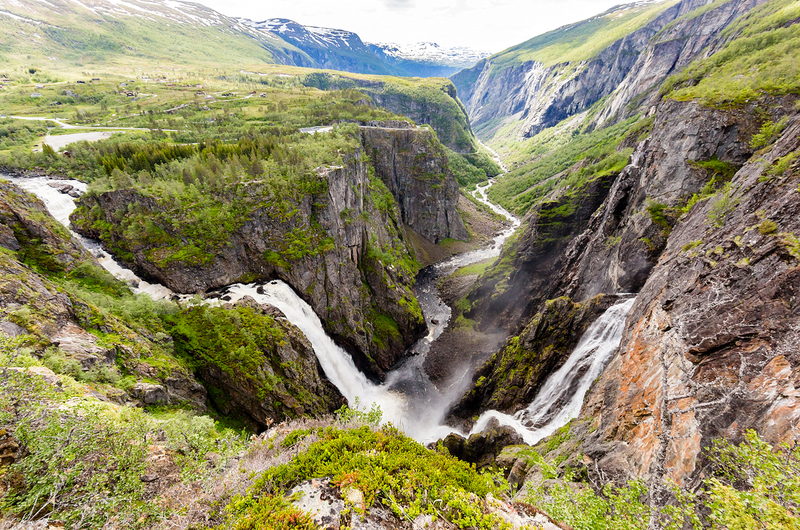 Geirangerfjord is certainly one of the most beautiful fjords and much photographed. The Scenic Geiranger is an ideal excursion of approximately 2 hours for the photographer with breathtaking views. 11 hairpin bends takes you to Eagle’s Bend for a fantastic view. After passing through the village of Geiranger another stop is made at the Flydal gorge viewpoint from where you can usually photo your ship in the fjord. 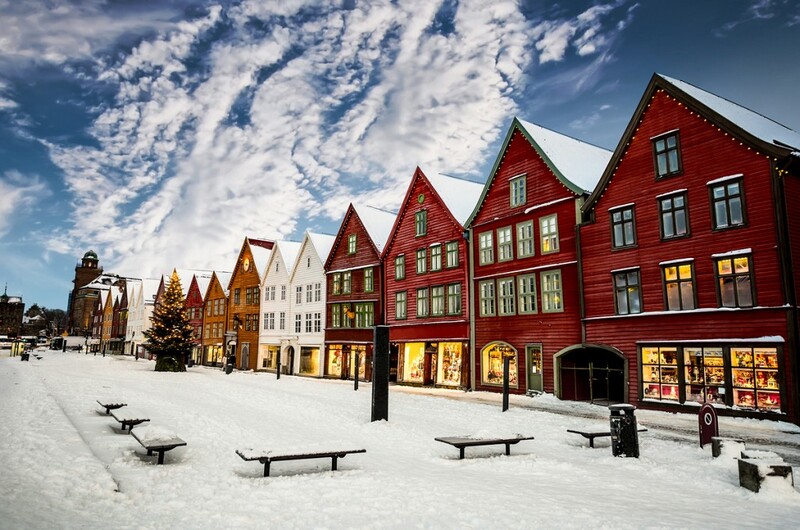 Bergen and Funicular is the ideal introduction to Norway’s second largest city. As well as the picturesque old buildings at Bryggen, the inspiration to Disney’s Frozen, the 8-minute Funicular journey to the top of Mount Floien completes the experience. Norway in a Nutshell from Flam. It encompasses all the best bits of Norway in one day; waterfalls, the Flam railway, mountain roads, views and a Norwegian lunch.